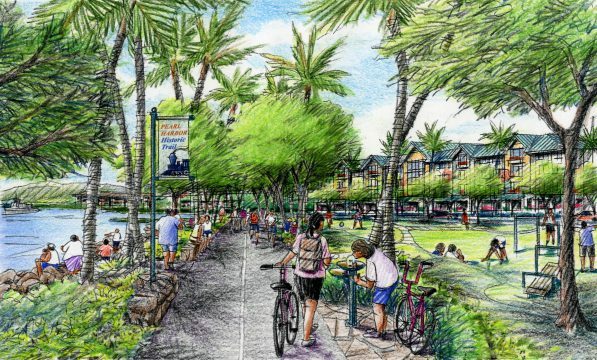 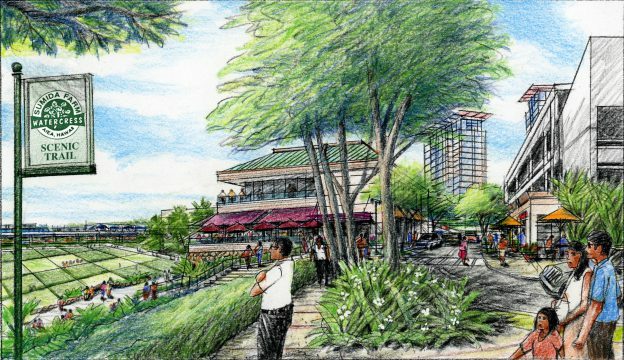 Aiea-Pearl City Neighborhood TOD Plan is the third in a series of community-driven planning efforts in Honolulu for future station areas along the new elevated fixed guideway mass transit system. 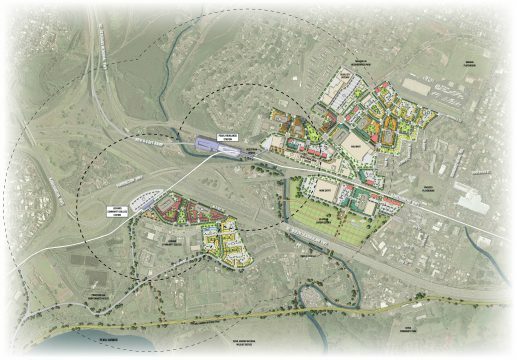 This TOD Plan consists of three station areas; Leeward Community College, Pearl Highlands and Pearlridge stations. 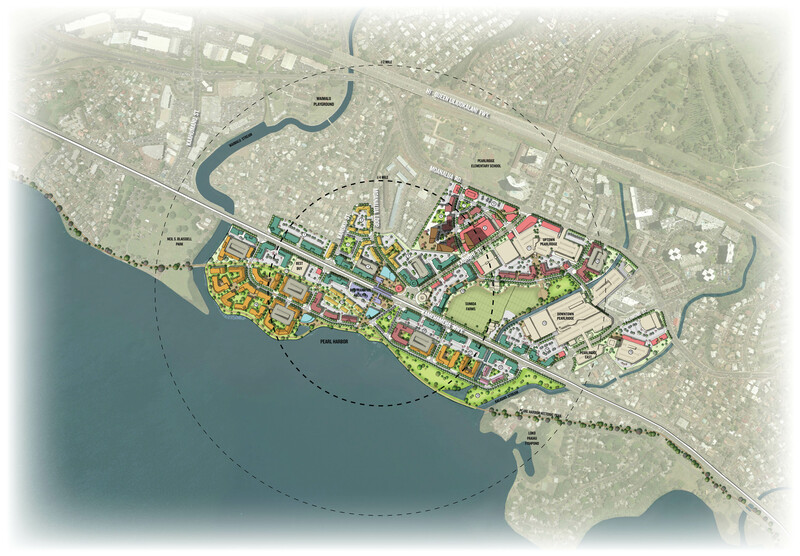 Leeward Community College is located just north of Pearl Harbor in-between Waipahu and Pearl City. A new mixed use village is created adjacent to campus with amenities for students and faculty. A campus identity is achieved with visibility of the campus from the station, as well as improved open space in the form of plazas and campus “quads”. Pearl Highlands Station is close by and will serve as a major park ‘n ride and bus transfer location. 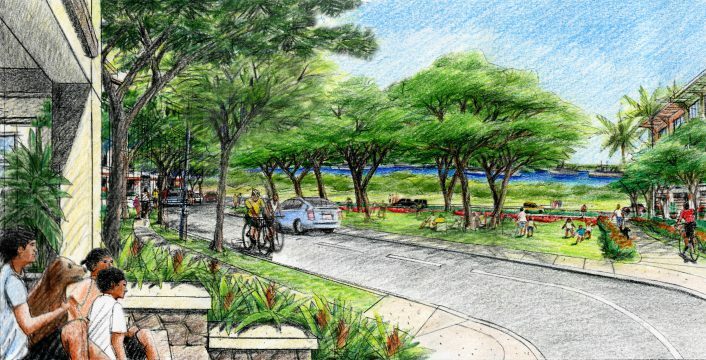 A pedestrian bridge is proposed to carry pedestrians across Kamehameha Highway. 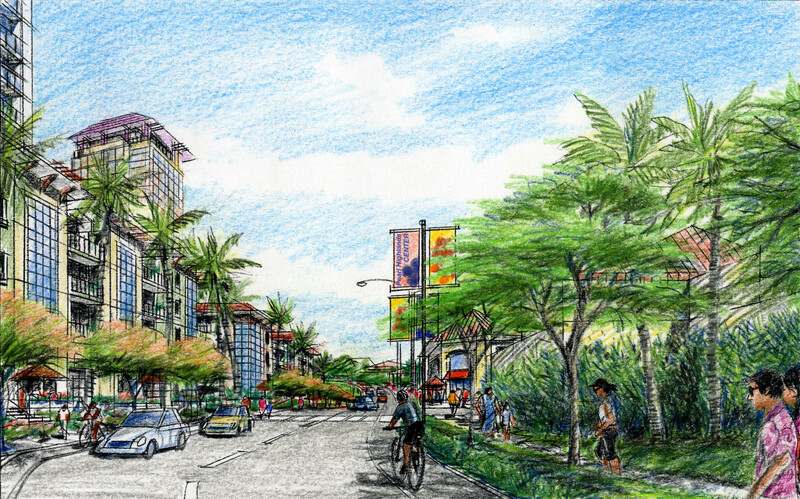 New big boxes, such as Wal-Mart and Home Depot currently exist on the site. 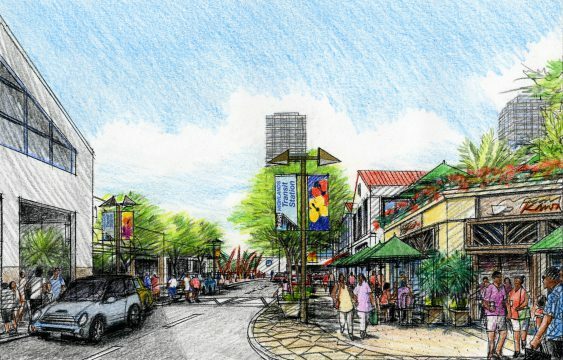 A best practices approach was taken to keep fairly new buildings and redevelop along the edges to allow for a mix of uses and a more vibrant streetscape. Pearlridge Station is located north of Pearl Harbor in between two major thoroughfares; Interstate H-1 and Kamehameha Highway. 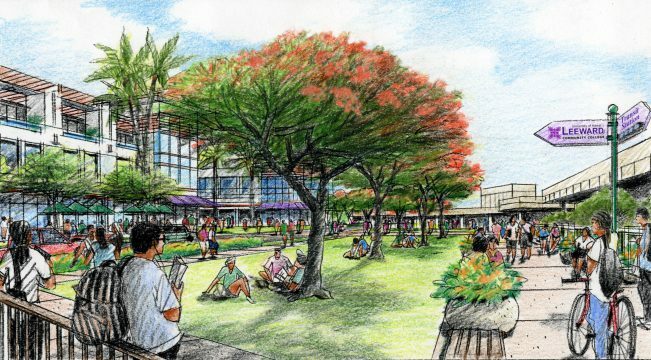 Currently, the Pearlridge Center, a 1.5 million square foot regional mall is located on-site. 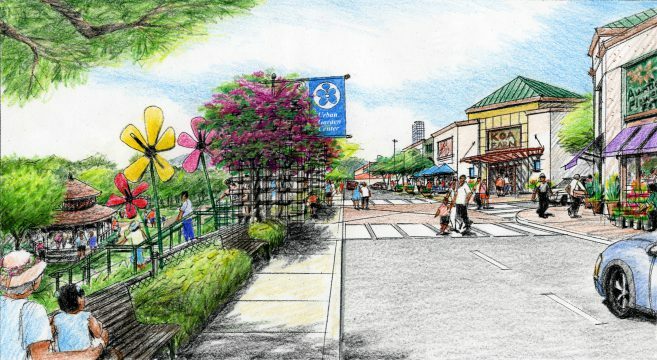 Recognizing the significance of this area as a regional retail destination, one alternative proposes to keep the existing mall and infill around its edges. 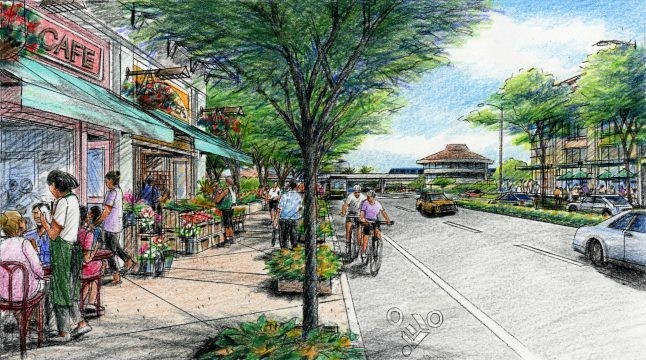 Another one proposes to redevelop overtime, but replace the amount of retail to keep its identity as a retail center. The waterfront also plays a large role in this station area. Bringing the waterfront back to the people is very important to the community. In one alternative a small waterfront museum is proposed to engage people with the waterfront.